And the story of the business is how they came together. Motorcycling is about the journey, a slice of time to travel through the elements and get back to nature. It all sounds quite magical and if you ride you’ll understand it. What you will also understand, is that after a prolonged time in the saddle, a lack of circulation, ventilation and movement can cause extreme discomfort. There had to be a solution to this problem. So I set about a quest to solve the issue. The more I researched, the more I found one name that kept being mentioned. That name was, “AIRHAWK”. I bought one and liked it so much I began importing and introducing them to other Australian motorcyclists in 2000. Since then we have been working with a wide variety of companies, health professionals and individuals to provide seating solutions. 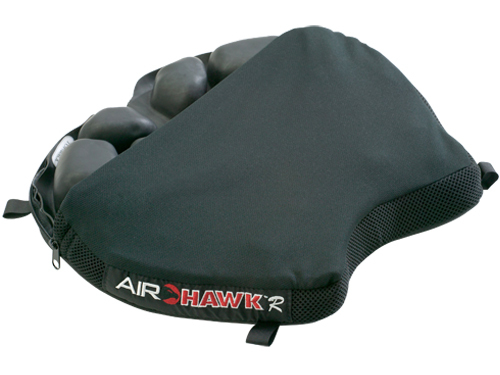 AIRHAWK’s extraordinary qualities are due to a bladder which has a series of interconnected air cells which mimic the properties of water. By adjusting the air pressure it conforms to your natural body shape and redistributes weight away from pressure points. 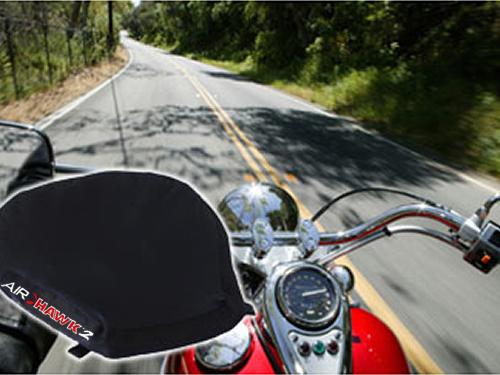 The bottom line is increased comfort, reduced back pain and enhanced safety when operating vehicles and machinery. For more information, please feel welcome to phone us on 1300 783 128 or Contact Us.